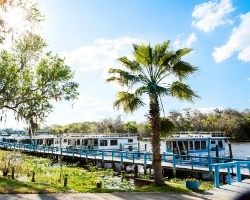 Grand Lakefront Resort Club offers two distinctly different locations for houseboat vacations. 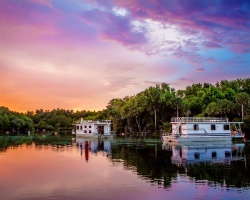 Members can enjoy a once in a lifetime houseboat experience on the St. John’s River in Deland, near Daytona, Florida which offers breathtaking views and pristine beauty with an abundance of wildlife, activities and adventures including swimming, hiking, bike riding and 4wd adventures. Relax and enjoy a picnic at Hontoon Island State Park or Ocala National Forest National Parks. Members can also get back to nature on the largest lake in Oklahoma, featuring 660 miles of shoreline with sandy beaches. Whichever location you choose, you'll be sure to experience a unique and fun vacation experience every time you travel. To discover more, please visit https://glrcusa.com. Motivated Seller! Rare resale opportunity! Annual floating high season week of your choice! Inquire for details!